I am attempting to identify the age of a Chinese stone Buddha through the gilding applied to its surface. 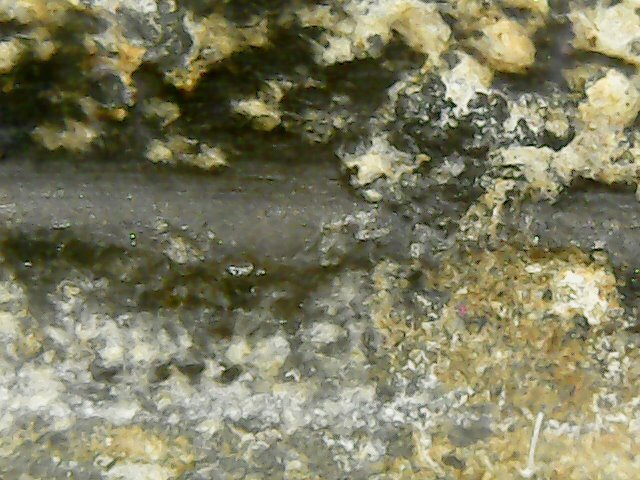 Under 100x magnification the gilding appears to be flakes of gold held to the surface by a black mastic. XRF analysis found Dolomite, Arkenite and Graphite. I feel that gilding may consist of loose, unrefined gold that was crushed, then sieved held to the coal tar mastic. Has anyone come across this technique. Note: some of the sculpture found in UR used a bituminous mastic and gold flakes. Probably best to add a photo as age is better determined by cognoscenti opinion rather than science. Can also contact experts at the major auction houses in NYC.